Also found this lovely picture of a real one, that grille looks very 25 Type 1 doesn't it? 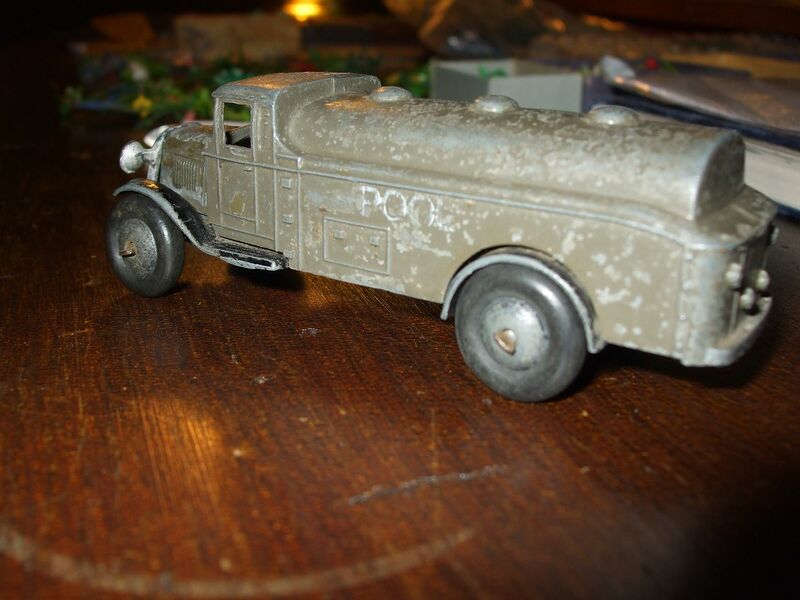 Nice find on the tanker, and that photo sure does look like the pre-war radiator. It also seems to have the small rear windows behind the cab, just like the very early Dinky's did. Good shot! 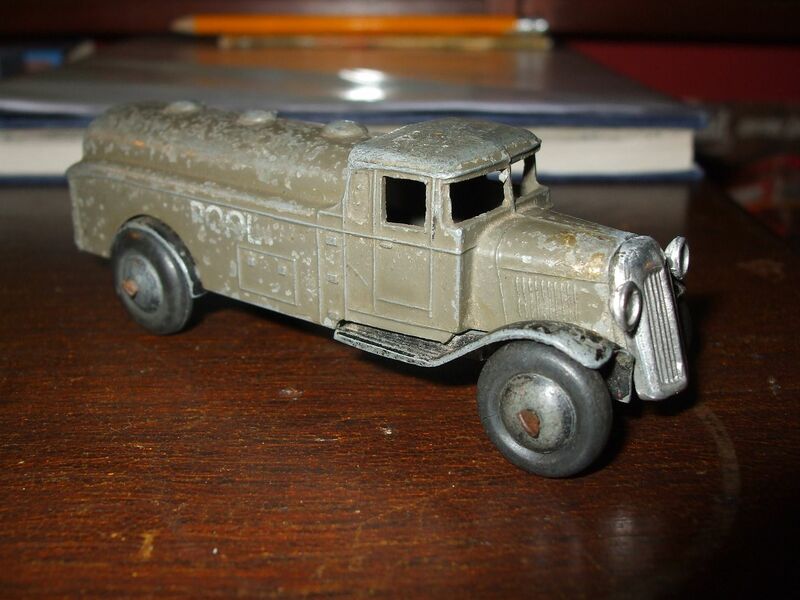 Can you tell me what real life vehicle this Dinky represent? I don't think anyone has ever found out exactly which lorry the 25 was based on, I would love to know as I am sure it was based on a real prototype. 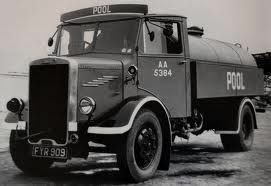 The POOL tanker in the picture is a Dennis PAX I think. 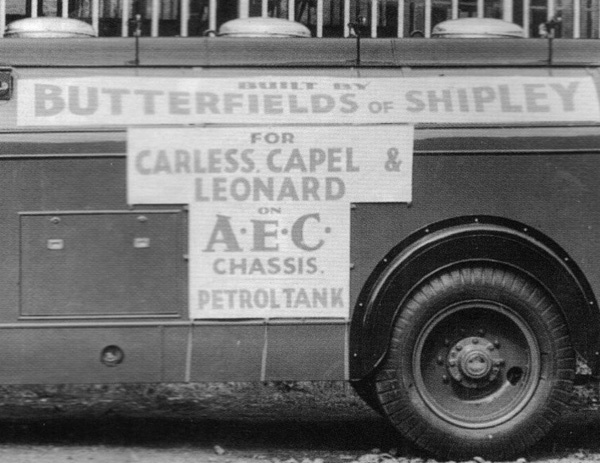 So the tanker was produced by Butterfields of Shipley, tank builders, and the chassis was delivered by AEC! In fact, as you can see, the early, straight tinplate radiator reflects reality better than the later diecast one - although the front lights are wanting on that tinplate version. That's an amazing picture Jan! I have never seen a really good picture of a prototype 25 Series Tanker, and who would ever have thought it was an AEC chassis?